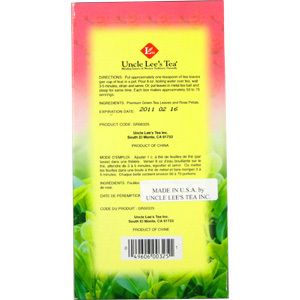 From Uncle Lee's tea plantation, high in the wild mountains of China, Uncle Lee's brings you the finest Premium Bulk Green Tea with Lemon. 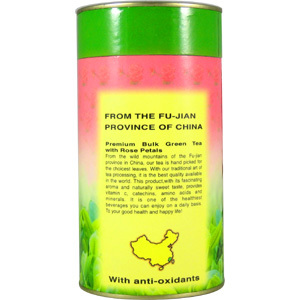 To create this non-fermented tea with it's light green color and natural sweetness, our tea is hand picked for the choicest leaves. To this we add fresh rose petals for an exotic and delightful flavor. 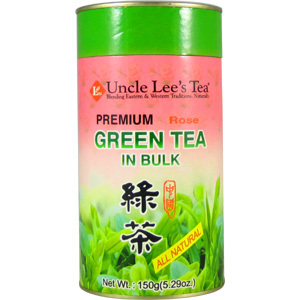 Uncle Lee's is delighted to bring you the finest Premium Bulk Green Tea with Rose Petals, a truly exotic tea drinking experience. 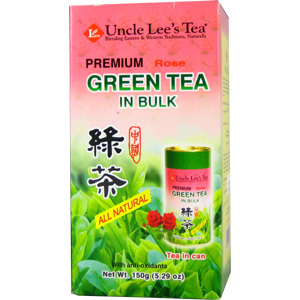 To our non-fermented premium green tea we have added fresh rose petals for a truly exotic and delightful aroma and flavor. Make a hot cup, sit back and breathe in the aroma. You'll be carried away to a garden. 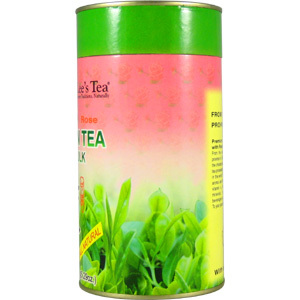 Put approximately one teaspoon of tea leaves (per cup of tea) in a pot. Pour 8 oz. boiling water over tea leaves, wait 3 to 5 minutes, strain and serve. Or, put leaves in metal tea ball and steep for the same amount of time. 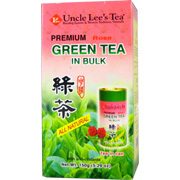 Green Tea with Rose Bulk - is shipped in a discrete, unmarked package. Orders are processed immediately and usually take about 3 to 5 working days to be received. We do ask that you try it for 2 to 3 weeks to feel the full effects. Any information received is used only for order processing and shipping purposes. Your information, such as e-mail address, will never be disclosed to a third party.